Lee Kum Sing studied with Gerhard Puchelt in Berlin, and with Julius Katchen and Magda Tagliaferro in Paris. Mr. Lee started his solo and orchestral career in Singapore (1953) and made his New York debut in Carnegie Hall (1963) and his London debut in Wigmore Hall (1969). He has collaborated with Cho-Liang Lin, Alfredo Campoli, Rivka Golani, and Kim Borg. Mr. Lee’s performances have been broadcast on BBC, CBC, Asian, Australian and European radio and TV. 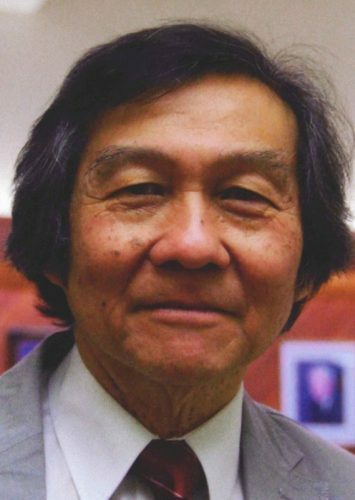 Professor Lee has been VAM Piano Department Head since 1971 and was a Professor of Piano at UBC (1972-2005). He is currently on the faculty of international summer festivals in Holland, Poland, France, Belgium, Italy, Japan, China, USA and Canada, and is Visiting Professor to several music conservatories in China. Professor Lee sits on the jury of international piano competitions, including Queen Elisabeth (Brussels), Chopin (Warsaw), Rachmaninoff (Moscow), and China (Beijing).